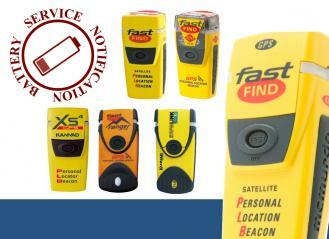 Have the Batteries on your PLB Expired? This page has been created to help you if you've looked at your PLB and realised that you are beyond the Battery Expiry Date that's printed on the back. The first thing to say is don't panic, and certainly don't throw it away! There are several options open to you. 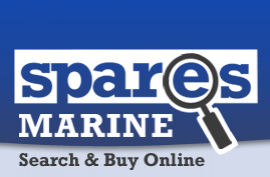 Spares Marine are Authorised Service Agents for the McMurdo Family of PLB's listed below, which also covers the Kannad branded units. The Larger units with the flip-up front lid, such as the McMurdo Fastfind Max G PLB pictured left. The new batteries for these units can be replaced by the end-user. This is because removing the battery pack from the back of the PLB does not interfere with the core electronics of the PLB, they remain sealed. The Smaller units, manufactured from 2009 onwards like the Kannad XS-4 GPS PLB pictured left. These units need to be returned to us for battery servicing. The batteries are situated inside the main body of the PLB with the electronics and, as a result, we can ensure that watertight integrity is not compromised.